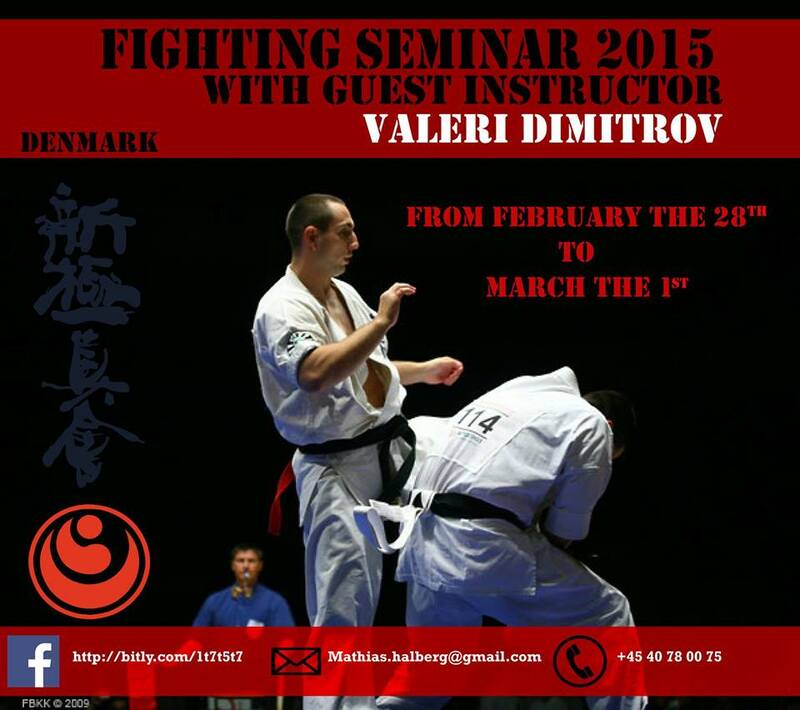 The Danish camp is known to all who train Kyokushin. The camp keeps a very good level in every way. Instructor, participants and not least the organizational part is very good. The camp in 2015, the sixteenth in a row that are held. And on top of everything, the 2015 camp be guested with one of the best Kyokushin performers, Valeri Dimitrov Sensei from Bulgaria. The fighting seminar is for every karateka, that have an interest in kumite (Fighting). If you wonder on wether or not the seminar is for you, ask your instructor. Despite the fact that the seminar is held only over 2 days, you are guaranteed tough and inspirational kumite training with plenty of sparring. Pointed out, that the seminar will teach you in the Shinkyokushin/Kyokushin knockdown principles, and NOT semi-contact – Which is why you upon registration, should consider physique and age. Approach your coach with that in mind. The seminar will provide: technical training, sparring, endurance/stamina training, and fighting strategy..